Okay so I read ‘The Fault in our Stars’ and I’m not gonna lie, I wasn’t that impressed. I’m not gonna go into details but I decided I’d read another John Green book to give him a fair chance so I bought ‘Looking for Alaska’. I’m so glad that I did. 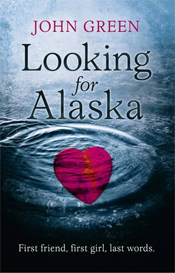 ‘Looking for Alaska’ follows the life of Miles Halter who moves into a boarding school in Alabama who soon makes friends with ‘The Colonel’, Takumi and the gorgeous, clever, funny Alaska Young. We can all see where this is heading. Unfortunately before I read the book I was reading someone’s blog who posted a massive spoiler about the book then wrote ‘spoiler alert’ after the spoiler. Furthermore, I actually found the characters extremely likeable – my favourite being Takumi. They had me laughing, crying and gasping in complete shock. With ‘The Fault in our Stars’ the only character I had really connected with was Isaac. I can honestly say I liked the main characters of this book and genuinely cared about what was going to happen to them. Well, Alaska got on my nerves sometimes, but most of the time I loved her. To be perfectly honest, I wish they’d chosen this one to turn into a film. However, I suppose ‘The Fault in our Stars’ is more popular and if I’m being honest, I’d have probably moaned about whoever they chose to play the characters. But I would really like to see this book on the big screen regardless of whether I believed the cast represented the characters or not. It would make an amazing movie. In conclusion, this book is definitely what made me put faith in John Green and motivated me to pick up ‘An Abundance of Katherines’ (which I’m halfway through and loving by the way) so if you read ‘The Fault in our Stars’ and felt the same way about it as I did, trust me. ‘Looking for Alaska’ is a fantastic read and you won’t be disappointed. My only advice is to stock up on tissues because trust me, you will probably cry. I must’ve bought ‘Girl, Missing’ about a year before I actually sat down and read it. Not because I didn’t want to read it or anything but because that’s what I do with books. Buy them and then read about fifty books I’ve already read before and then eventually I will return to the book I’d bought. Anyway, I’m going to start this review by saying that I’m aware there’s a sequel and that I’m also aware I don’t really want to buy it. If that blurb doesn’t get you pumped to read a book then I don’t know what does. However, I don’t think the book itself lived up the hype the blurb portrayed. I was pretty disappointed to be completely honest. I think the biggest letdown was probably the completely unrealistic characters. By the end of the novel I realised I didn’t particularly care about any of them which is probably why I have zero interest in the sequels. The hardest characters to believe definitely have to be Shelby and Sonia – I couldn’t find them believable at all and some of their actions and speech just made me laugh out loud at how pathetic it was. And I wish I could say there was a big plot twist about her real family but there wasn’t. She figured it out at the beginning, she went to find them, she found them. Just like that. I would’ve been more impressed or surprised if she’d gone there and it had turned out they weren’t her real family. I also feel like everything that happened to Lauren was just made easy for her. Every risk she took was met with an easy escape option which made me want to tear my hair out. Overall, I was really disappointed with the plot. What could have been a fantastic, interesting, thought-provoking story turned to be a massive mess of unrealistic dialogue, characters and plot. As I said, I definitely won’t be giving the sequels a try anytime soon. I bought the book and let me tell you, the idea behind it is pretty awesome. 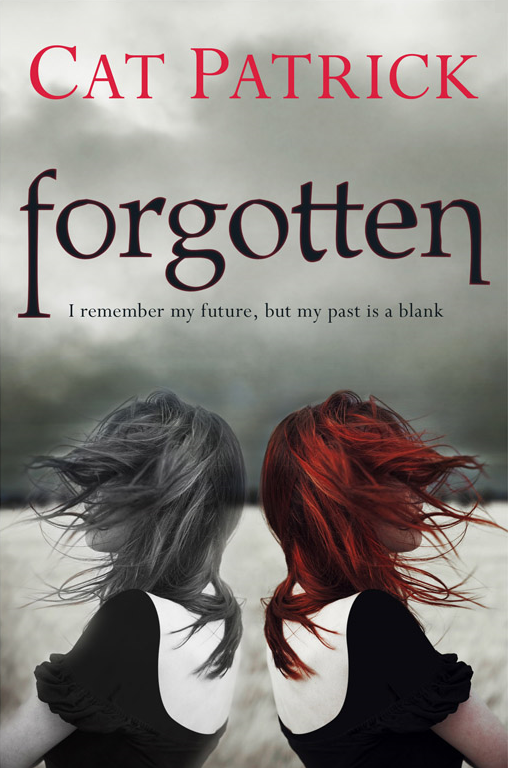 It follows the life of London who knows everything that’s going to happen to her in her life but she can’t remember what happened to her yesterday. She knows what she’ll wear tomorrow, and see an argument that won’t happen until that afternoon but she doesn’t know what she ate for dinner that night. She gets by with the help of notes she takes, her Mom and her best friend Jamie. With a plot like that, I couldn’t say no. It started off well. London’s a likeable character and Cat Patrick’s writing style is pretty cool – easy to follow and interesting to read. It doesn’t take many pages for the love interest to be introduced and we know this is the boy she was talking about on the blurb “I can’t see the boy I adore in my future. But today, I love him. And I never want to forget how much…” Turns out his name is Luke and at first I really like him. We’ll get to that later though. Overall, I can’t really fault the plot. It kept me gripped until the very end with a plot twist that to be fair, I hadn’t seen coming. It was also really nice to find out why London is the way she is. So many authors give their character some unique power or trait that is never explained and you are left wondering what the point is. As with any book or film containing a plot twist, you need to read it more than once to see what you’ve missed out on. I’m going to be honest though, I’ve only read it once and although I enjoyed it the first time, I’m not sure I’d read it again. Furthermore, when a girl says she needs space, you’d give her space. However, Luke decided to be in her face every ten seconds and London decided that these gestures were cute and showed that he cared about her while I sat staring at the book in disgust, resisting the urge to shut it and stop reading. Overall, I’m glad I kept reading though because, pushing the unnecessary romance aside, the storyline was interesting and at some points emotional. I’d recommend to someone who actually enjoys romance because maybe it was just me that found Luke extremely pretentious? Hey, since this is my first review ever I thought I should start by introducing myself – my name’s Holly Bareham, I’m 17 and I read books all the time. So I figured why not post my opinions about them on the internet? 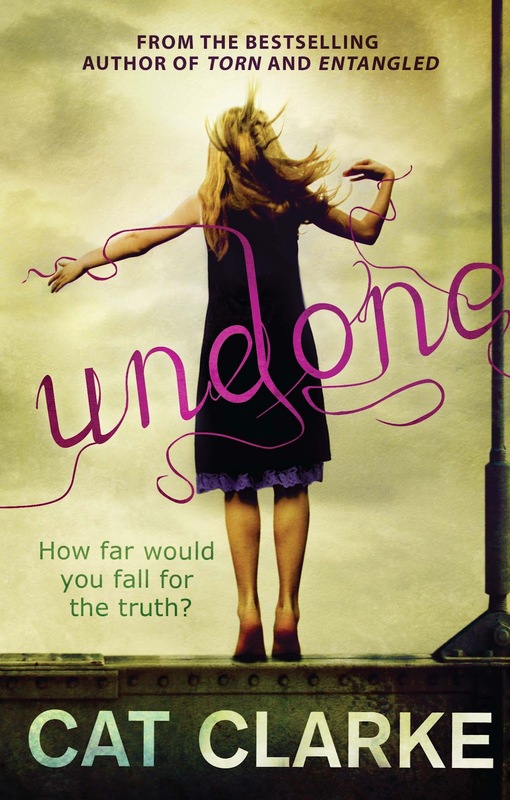 I figured a positive review would probably be the best way to start this blog off so I decided to review Undone by Cat Clarke. I’d like to start off by saying that I’m sick of going into the YA section of any book store and staring at book after book of romance novels. Maybe I wouldn’t mind so much but so many books have amazing plots and then they throw in a completely unnecessary romance that makes me feel sick to my stomach, with boys and girls saying cringey gooey things to each other until I feel like throwing the book across the room. I have physically groaned out loud at certain romances before. However, Cat Clarke is an exception to my hatred of romance. Her portrayal of teenage romance is exceptionally realistic and actually interesting to read. For once, I am routing for the characters relationships to work out instead of hoping that they’ll crash and burn which happens with most other YA novels. ‘Undone’ follows the story of Jem Halliday and how her life has been turned completely upside down after her best friend Kai has committed suicide. After discovering that Kai is gay, someone outs him online which leads to him deciding to kill himself. Jem realises that there’s nothing she can do to bring him back so she decides to find out who was responsible and take them down herself. I think the first thing that makes any Cat Clarke novel realistic and, dare I say it, relatable is the amount of swearing. So many YA novels are published with little to no swearing and let’s be realistic; teenagers don’t exactly hold back with their curse words. I personally don’t know many teenagers who don’t swear every other sentence so why that should change in fiction is beyond me. From the first page I was gripped. It starts with a small prologue of how Jem and Kai met then the first chapter hits us hard with Jem grieving Kai’s death. It took me less than twenty-four hours to get through the novel because I was desperate to find out how Jem was planning on getting her revenge and who had outed Kai in the first place. Normally when reading, I don’t react emotionally. Sure, I care about the characters deep down but I don’t feel any physical emotion when bad things happen to them. This is definitely not the case with ‘Undone’. I remember my stomach twisting with knots and saying to myself “No, Jem, come on…” I remember laughing, tears prickling my eyes and feeling every emotion that Jem felt throughout the entirety of the novel. To deliver that through words is pretty stunning. I would recommend this to anyone I meet. A friend, my Mom, my Gran, a stranger I met in the streets… I can promise that you won’t be disappointed reading any novel by Cat Clarke, especially not ‘Undone’.